Roseville sits along and at the crossroads of several major transportation routes, including our state highways, interstates, and county roads, along with hosting a major transit hub at Rosedale. As Roseville residents and businesses are well aware, these transportation assets can provide benefits as well as challenges to living and doing business here. Dan is supportive of targeted enhancements of the roadway and transit systems, such as managed lanes on freeways and improvements to pedestrian crossings where highways and roads serve as barriers – perceived or actual – to safe and convenient pedestrian movement. He has been involved in efforts to provide better connections for hotel and restaurant workers in western Roseville, seniors throughout the community, and new immigrants in southeast Roseville. 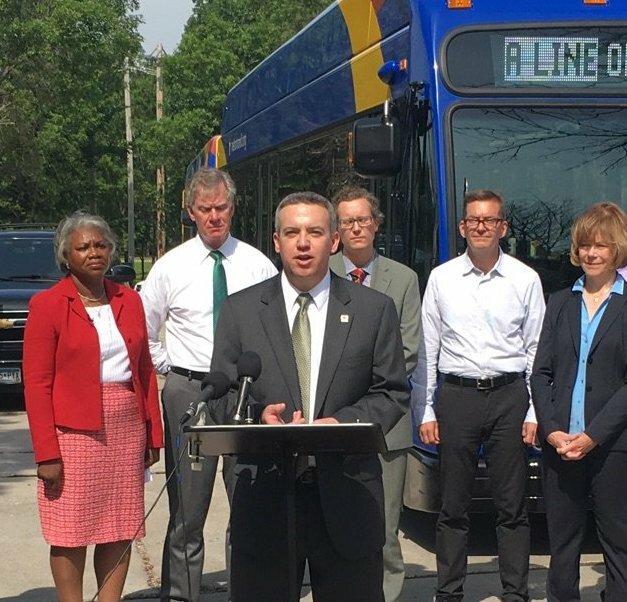 This includes dialogues with Metro Transit about route and service improvements (including the A Line) and also the recent partnership with NewTrax to provide a trial run of a circulator bus service in southern Roseville. Redevelopment can and does change traffic levels and patterns, and Dan has long advocated for the use of traffic studies for developments from Twin Lakes to smaller projects in order to understand, plan for, and mitigate impacts. Major highway construction projects have spillover impacts on neighborhoods, and Dan appreciates the efforts of MnDOT to recognize that and put in place temporary local improvements to help to move that spillover traffic around 35W more effectively during the MnPASS project beginning in 2019. He believes Roseville must monitor the effectiveness of those measures, and work with MnDOT to address deficiencies as they are noted.